Starting March 1, toll booths will be open at SJC beaches. From 9 a.m. to 5 p.m., on-beach driving passes will be for sale at area toll booths. Daily fees for the 2019 beach season are $10 or $5 for handicap and active military. Annual passes are $50 for residents, $100 for non-residents, and $40 for a handicap pass. Disabled military are eligible for a free annual pass by presenting military ID or a letter from Veterans Affairs verifying disabled status. Lifeguards will begin limited duty in March, with full lifeguard coverage beginning Memorial Day Weekend. For more info, contact Danielle Fountain at dfountain@sjcfl.us or 904-209-0752. Motor Vehicles are permitted to access several stretches of St. Johns County Beaches. From March 1 through September 30, vehicles are required to pay a vehicle access toll and obtain a beach pass. Daily and annual beach passes may be purchased at access ramps. Traffic is regulated and the ten-mile per hour speed limit is strictly enforced. Pedestrians are urged to stay alert and use caution. Soft sand and high tides may prevent beach driving, or limit it to 4-wheel drive vehicles. Vehicle access ramps are at: Vilano, Porpoise Point, A Street, Ocean Trace, Dondanville Rd, Matanzas Ave, Mary St., and Crescent Beach (Cubbedge Rd). Access is dependent on beach conditions — weather, sand, or tides may cause ramps to temporarily close or limit access to 4 Wheel Drive vehicles. Daily driving conditions are posted to our Twitter and Facebook (follow SJC Beaches), and in the Reach the Beach Mobile App. For more information, call (904) 209-0341. Special use permits are required for special events, horseback riding, 4-wheel drive vehicles, and commercial fishing. Find out more about Special Use Permits in the Habitat Conservation Plan section. 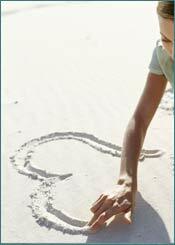 Contact Beach Services, (904) 209-0341. You can also follow us on Facebook and Twitter.